Some copies come with plain white labels on both sides and others have a hand stamped Photek logo and tracklisting on the label. Matrix / Runout (Runout side A): QEDT 8 A-1-1-1 Stu. 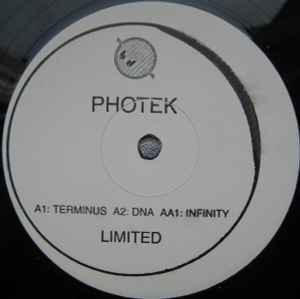 Rude Boy Photek..Infinity is a Bad Boy Tune..Photek is a proper intelligent musical genius who is able to piece samples together with such ease you'd think they were family and no one puts those beats together quite like Photek. I do miss his style..